Investors who are natural person can directly claim against the state in which they have invested under the investor state arbitration. For an investor to come under the ambit of such arbitration, he must have the nationality of a particular nation. In a globalized world economy, it is through a compound structure made up of different companies having roots in different sovereigns owned by nationals of different countries that the investment is made through therefore in such cases, it can be difficult to identify the echelon of the corporate world that determines the nationality of the investor moreover the determination of nationality of natural persons can turn out to be Pandora’s box when many international Business people carry two or more passports. States are quick to challenge the standing of an investor if the investor does not meet the nationality requirement. Since the last few decades the investor-state arbitration has been on a rise which has clarified the state of affairs under which an investor meets the nationality requirements. Though the requirement of nationality applies to both the natural person and a corporate claimant, this article is restricted to the nationality requirements of a natural person only. Facts: In 1990s the U.S. investors took merit from the Egyptian laws that liberalised the cotton trade by investing in cotton trading through locally established company, National Cotton Company (NCC). The dispute arose when the venture crashed and the shareholders in NCC claimed against Egypt at the ICSID for transgression of the Egypt-United States BIT. Among the claiming shareholders were three U.S. citizens along with few companies. These three U.S. citizens were born in the U.S to U.S citizen and were member of the Wabha family. What led to the demise of the Wabha’s claim was the fact that the father had a Egyptian nationality as well. Held: The Wabhas were also Egyptian nationals apart from being U.S. citizen hence barred from claiming against Egypt by Article 25(2) of the ICSID Convention. Only disputes between a Contracting State and a “national of another Contracting State” are covered under the ambit of the ICSID under article 25(1) of the ICSID convention. Article 25(2) of ICSID states that “national of another Contracting State” does not “include any person who on either date also had the nationality of the Contracting State party to the dispute”. The Egyptian laws provide that the male offspring of Egyptian nationals hold on to their nationality for one hundred generations, regardless of their place of residence or birth, the tribunal placed their reliance upon the same laws to conclude that the Wabhas held an Egyptian nationality. Given that the three Wabha investors were all son of an Egyptian national hence they retained their Egyptian nationality and therefore were not allowed any standing before the tribunal under article 25(2) of the ICSID convention. Under the article I(1)(e) of the Egypt- United states BIT “a natural person of a state is a natural person under its applicable laws”, this is a common clause in most BITs therefore the decision of the tribunal to use the Egyptian nationality laws was harmonious with the definition of nationality in most BITs. From Soufraki v. United Arab Emirates it can be concluded that the limitations to the above rule cannot be easily reached. Facts: Mr. Soufraki signed a concession contract as a Canadian with the U.A.E. for the development of the ports in UAE, when the alliance turned sour, Mr. Soufraki claimed that apart from having a Canadian citizenship he also had a Italian citizenship and therefore he can claim for contraventions of the Italy-U.A.E BIT. Held: The tribunal did not rule in favour of Mr. Soufraki because he was not considered to be an Italian under the Italian Nationality laws at the time he made the claim, the tribunal came to such a conclusion despite the fact that Mr. Soufraki produced numerous documents and a declaration of the Italian foreign Affairs Minister that he was an Italian citizen. The principle of effective nationality has been there in international law since the Nottebohm case and its importance has been accentuated by many cases as it recognises that nationality is more than a legal tenuous bond. Following cases have been included so as to clarify the role played by the principle of effective nationality in Investor state arbitration. Facts: A Peruvian by the name of Mr. Olguin claimed that Paraguay’s actions transgressed the Peru-Paraguay BIT. On the other hand Paraguay contended that Mr. Olguin was a national of U.S because that he was living in that country at the time of the claim, for this Paraguay relied on the Peruvian nationality laws which say that in case of dual nationality, a person’s registered address determines the exercise of specific rights of that person. The nationality requirement cannot be underestimated as it is one of the quintessential conditions that an investor must satisfy before bringing a claim against a state so that an investor who has been injured knows if he has any standing to the claim. The friction between the geriatric and modern rules has been highlighted in the case such as Soufraki. Investor state arbitration has jumped over many hurdles over time but modern times present modern challenges and the next sizable challenge is that whether the existing instruments can accommodate the change or if we need a new set of instruments to better reflect the changed world. 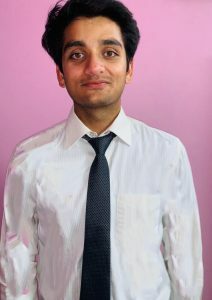 Parth Tyagi is a second year student of National Law Institute University, Bhopal. He has won the award for best memorial in my first moot court at LJ School of Law, apart from that he has also represented NLIU at the Frankfurt International Moot Court Competition.